You will be contacted if spaces open up. 30 young actors. Five days. One dazzling performance. Can it be done? You bet! 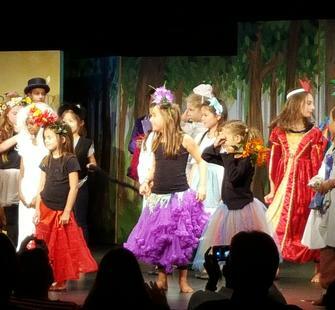 Students will be introduced to important theatrical skills such as acting, staging, set and costume design, and so much more—and perform for family and friends in a showcase at the end of the week in Montalvo’s Carriage House Theatre. Become the hero or heroine in a story of adventure! Travel the land seeking your fortune alongside characters like Sindbad, Ali Baba, Scheherazade, and other legends. Students will love their entrée into a world of daring, fantasy, and justice—a literary epic crafted by traditions of the great civilizations of the Middle East.